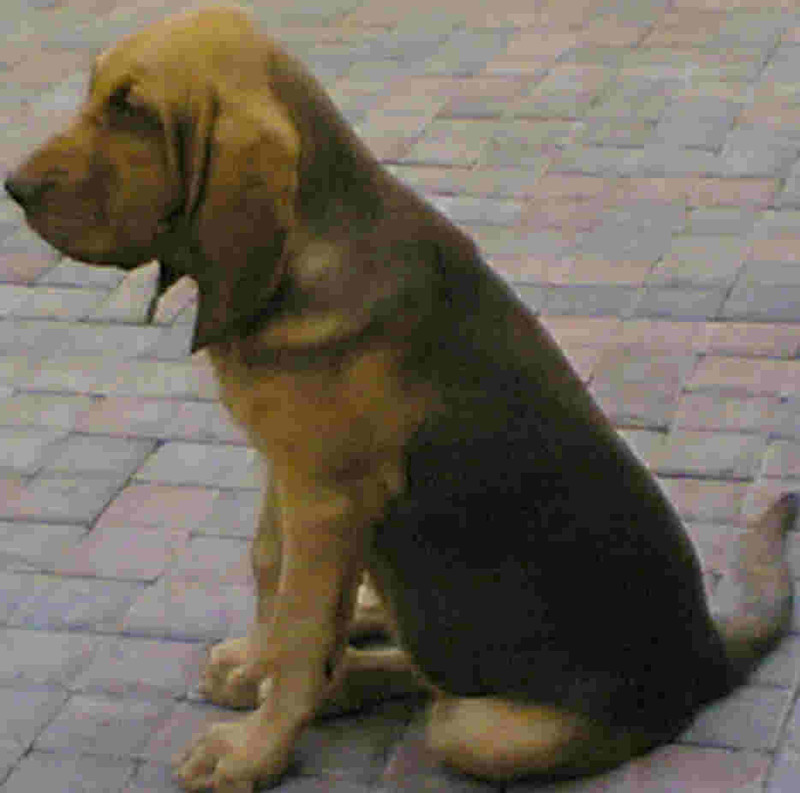 The bloodhound is considered to be the number one scent hound - he uses his nose to follow a trail. 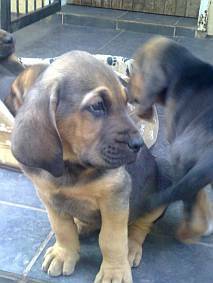 The number two scent hound is the basset hound, which is similar in appearance but has shorter legs. They are thought to originate in France. How breeds of dogs originated. 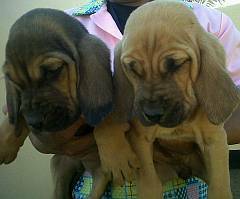 Bloodhounds have been used to trail runaway slaves, convicts, and lost people. It is thought that it is not blood that they smell, but sweat from feet. They can detect the scent of a trail four days old, even if shoes are worn. Sherlock Holmes, the fictional detective, used a bloodhound to solve cases. 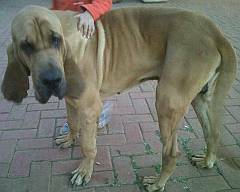 Bloodhounds were bred to follow a scent over a long distance and they need long walks. They have followed trails of 50 kms. They can be stubborn to train. The short coat of the bloodhound needs no grooming. 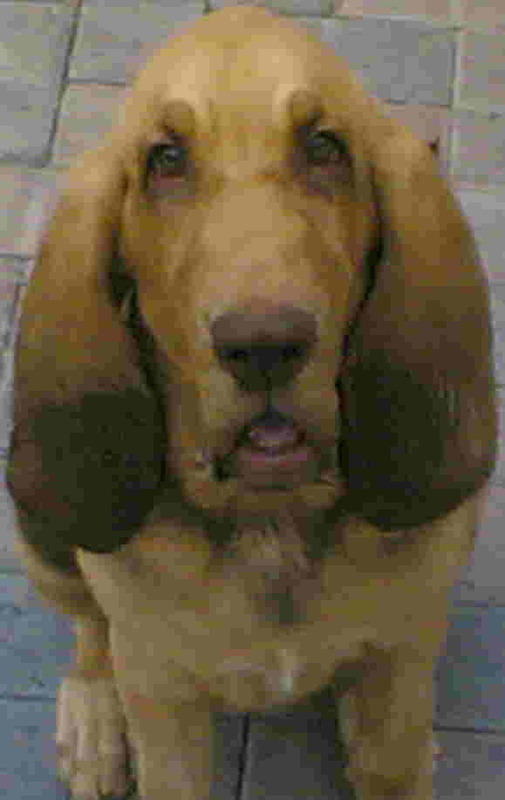 They have long, droopy ears and the loose skin gives the face a serious expression. When I visit friends, their dog always sniffs me and I wonder what it smells. If a bloodhound were to sniff me now, what would it smell? Dogs can tell a lot about us by our scent! God can smell us too! He can tell a lot about us by our smell. I wonder what I smell like to God? A sweet aroma, or a stench? Read what the Bible says in 2 Corinthians 2, 14 - 16!